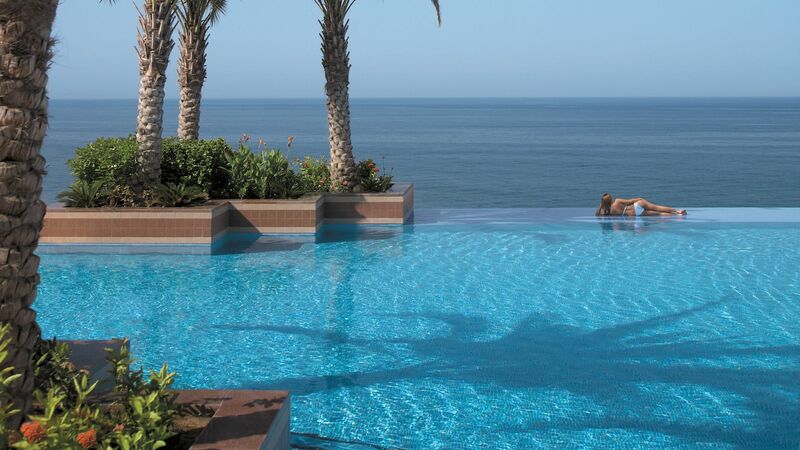 Shangri-La Al Husn Resort & Spa is located in Oman’s thriving capital, Muscat. 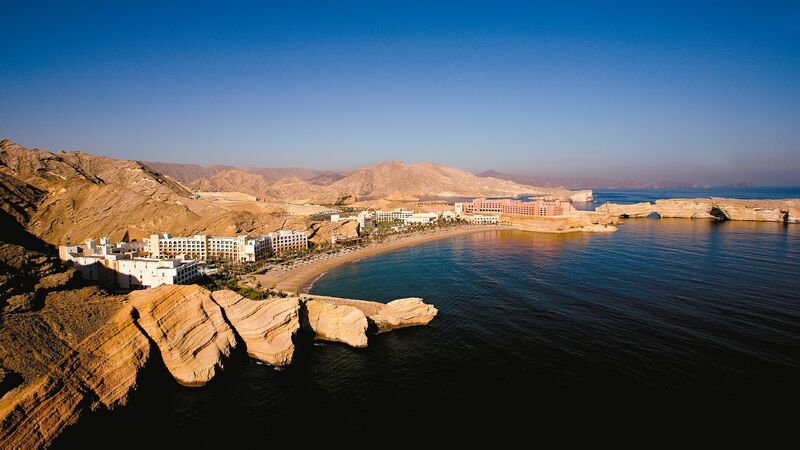 It enjoys a striking clifftop location overlooking the Gulf of Oman and offers access to the wider Shangri-La resort, where you’ll find a wonderful range of luxury facilities. Spend your days relaxing on the sun loungers on the beach, taking in the striking mountainous backdrop and soaking up the sun, or make the most of the many activities on offer. The hotel’s rooms and suites are intimate and stylish, with balconies offering spectacular views of the hotel’s private beach and the glittering sea beyond. During the day, take a cooling dip in the unforgettable cliff top infinity pool or order food and drink straight to your lounger. Enjoy fine dining in luxury at the hotel’s restaurants, which include traditional Arab dishes, as well as international choices. 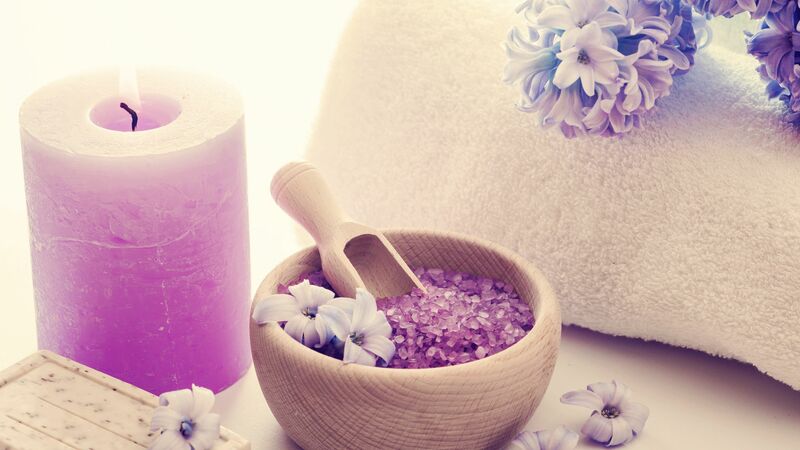 For the ultimate pampering, head to the luxury Hareer Spa by L’Occitance, which is exclusively for guests of Al Husn. This hotel does not allow guests under the age of 12. The hotel has 180 rooms and suites. A romantic restaurant serving Moroccan, Lebanese and Omani specialties with a fine selection of Lebanese and international wines. Live entertainment and al fresco seating are also available. The dress code is Smart Elegant. No beachwear or shorts are permitted in the restaurant. A stylish restaurant serving creative Spanish cuisine in a bright dining room. The views of the Gulf of Oman are incredible. Open: 06:30 - 11:00 and 19:00 - 23:30. 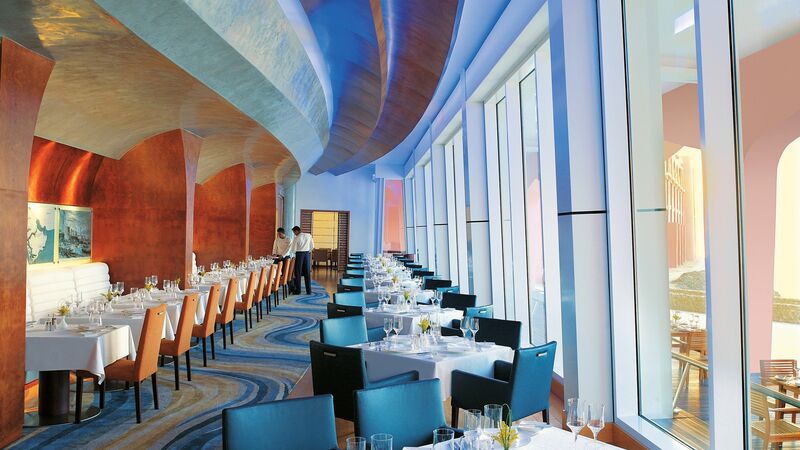 Take in impressive views of the Gulf of Oman in an intimate ‘Dine by Design’ setting. The bar serves light snacks, refreshing drinks and an excellent wine list. Try the freshly caught flame-grilled seafood. Located by the poolside with inspiring views of the Gulf of Oman the bar serves exotic drinks, including creative cocktails and light organic meals with a focus on health and wellness. Guests staying at the Shangri-La Al Husn Resort and Spa can also dine in an additional 15 venues located across the neighbouring Al Waha and Al Bandar hotels. 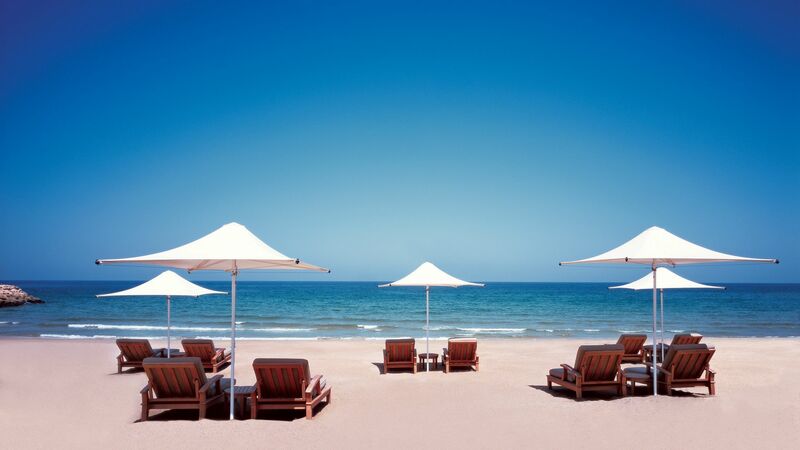 An expansive 100 metres of private beach overlooks the Gulf of Oman. Guests can enjoy sun loungers and parasols, as well as lounger service. Relax and take in the views from the hotel’s clifftop infinity pool or choose from two other pools which are dotted throughout the gardens. Guests are invited to visit CHI, the largest spa in the region. It has been described as a sanctuary of tranquility and offers a wide range of luxurious private treatments. A luxury boutique spa exclusive to Al Husn Guests. There are numerous luxury treatments on the menu with products by L’Occitance. Located at the Health Club, the gym has a wide range of strength and cardio machines so you can maintain your health and wellbeing while you are on holiday. Kayaks are available, as well as banana boat rides, waterskiing, wake boarding, wake surfing, wind surfing, guided jet ski tours, sailing and hydro sports. The nearby diving school offers PADI approved diving courses too. Enjoy a snorkelling trip with professional guides and experience the sparkling waters of Oman and their hidden underwater worlds. A boat leaves daily from the Marina. A unique opportunity to become part of the area’s conservation efforts and release turtles back into the sea. Enjoy a wonderful experience as you admire the beach on either a camel or pony ride. A truly memorable experience. Sightings are not guaranteed but spinner dolphins are spotted on 90% of trips. Trips are conducted twice a day from the Marina. Enjoy a game on the hotel’s floodlit tennis court. Complimentary tennis rackets and balls are available from the Health Club’s reception. Enjoy this exciting course with nine challenging holes. A complementary golf putter and balls are available from the Health Club’s reception. Muscat is a beautiful port city situated between the Gulf of Oman and the Al Hajar Mountains. You will recognise its beauty from its ivory-white buildings and incredible Arab architecture. The city has a unique character, with elegant villas and height restrictions on buildings offering views of the mountains from almost every street. There are some wonderful attractions to explore, including the contemporary Sultan Qaboos Grand Mosque which towers above the city skyline. 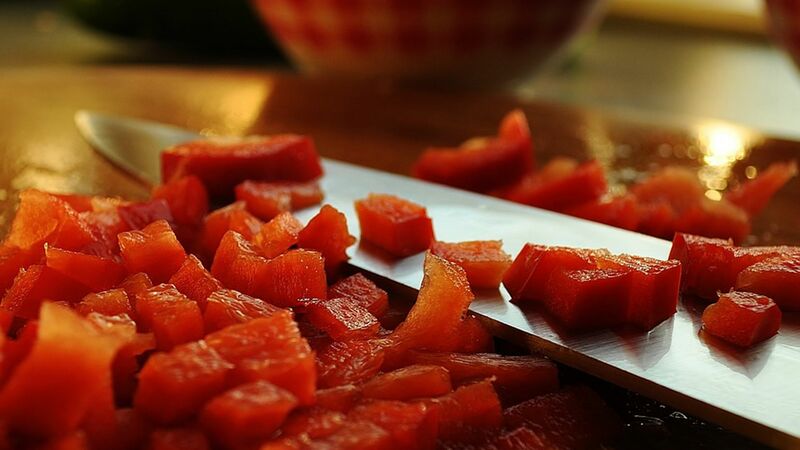 For a sense of culture, head into Old Muscat, which is often referred to as the beating heart of the city. It boasts high end hotels, incredible villas and family friendly cuisine, including a familiar European scene with French bistros and steakhouses. For wonderful evening entertainment, visit the Italian-Arabic Royal Opera House Muscat. Shangri-La Al Husn Resort & Spa is 45 minutes from Muscat Airport. Furnished in contemporary Arabian style, the luxurious Deluxe Rooms feature a double bed, seating area, marble-clad bathroom with bath and separate shower and a spacious balcony or terrace. Furnished in contemporary Arabian style, the luxurious Deluxe Rooms feature a double bed, seating area, marble-clad bathroom with bath and separate shower and a spacious balcony or terrace with lovely views over the turquoise sea. My husband and I spent three nights here on a #treatyourself holiday and it was great every moment! 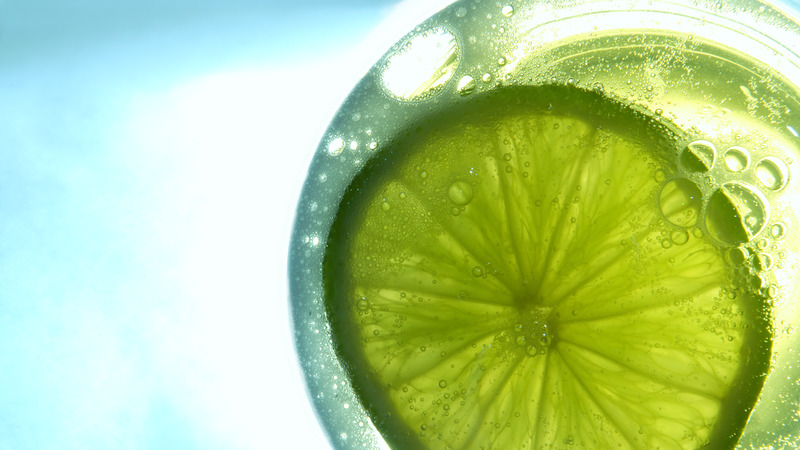 From beginning we were greeted with a friendly hello, a cold towel and a lime and ginger drink while we checked in. Afterwards, we were taken to our room over looking the pool, and had some ocean view. The room was huge! (well bigger than normally what we stay in). The carpet was soft, bed was comfy, and the bathroom had plenty of amenities. Al Husn is an adult only hotel within the other hotels. Perks are that it is quiet, complimentary mini bar (not alcohol) private pool and beach, complimentary cocktail hour and afternoon tea. When you head to the pool/beach you get a nice cooler filled with water, juices, and a facial mist spray (great for hot afternoons) We had breakfast included and I enjoyed each morning. There was a small menu of hot foods (eggs, French toast, etc) and several pastries, cheeses, salad, fruit and even sushi options. We did not try the restaurants at the hotel, but did visit the seafood restaurant and the tapas restaurant at the other hotels. Tapas were good with plenty of options and shisha afterwards. The seafood restaurant was good but my husband and indulged too much at cocktail hour that we didn?? ?t have much of an appetite :-D The staff were friendly and always had a smile and said hello when we passed. I was well known at cocktail hour (not sure if good or bad hehe) but my glass wasn?? ?t empty that whole hour every night (hint: sit near the bar to get quicker service). This place is great and the staff takes pride in their place of work. I cannot recommend this place enough. This is a truly outstanding hotel, difficult to find any faults at all. The are three hotels at the site - Al Husn (five star, adults only); Al Bandar and Al Waha for families. The resort is situated along the coast about 35 minutes from Muscat, and 45 minutes from the airport. We had arranged hotel transport, which worked very smoothly, and check in at the hotel was a serene experience. The rooms are extremely comfortable, with a small sitting area and a balcony. The contents of the mini bar are included and refreshed daily - soft drinks, beer, nuts and biscuits. Afternoon tea is also included, as are drinks (wine, prosecco and beer) and canap? ?s served for an hour at 18.00. There are 11 restaurants on site open for dinner across the three interconnected hotels at the resort, and all the meals we had were of a very high standard. There are two cafes at Al Husn serving lunch, at the pool and the beach, which have a limited choice menu. Other cafes serve a wider choice at the Al Bandar and Al Waha hotels, a few minutes walk along the beach. If you join Shangri-La's loyalty Club, golden circle, you get various discounts including 20% at all restaurants and bars. This is very welcome given that the cost of meals here are on the high side. There are complimentary shuttles during the day to points of interest in Muscat. My daughter, a very experienced diver, found the on-site dive facility provided a very high standard of service, and some extremely interesting dive sites. There are plenty of comfortable sunbeds around the pool and at the beach, with individual cool boxes, water and fruit juice provided. Overall a very calm, service-oriented, comfortable experience. Unlike other 5 Stars Hotel which find it necessary to remind you of the fact constantly, the Shangri-La is simply understatedly elegance. You feel as if you own the place. Its design, location, staff training, activities, and rooms all combine to create actual luxury not modern bling. All the staff were wonderful, again without over-doing it. We were met by a concierge named Kulthum who introduced us to the hotel and then made certain that our every need/wish during our entire stay was handled at a level well beyond what was required. Once again this was done in a manner that was totally unobtrusive while clearly demonstrating that the well-being of the guests was the only thing that mattered. We stay in a lot of hotels around this planet. The Shangri-La sets the standard. My husband and I recently spent three nights at the Shangri-La Al Husn resort and I absolutely loved it. From start to finish the staff were friendly, attentive and efficient. The room was spacious with all high quality amenities. I especially liked the dressing area, an ideal place to have cases out of the way and hang clothes. Free mini bar, re stocked every day with cold drinks, beers and snacks. The pool and private beach are both stunning with super comfy loungers of all shapes! I really liked the complimentary cool box with water, cold drinks and Evian spray. Such a nice touch. Excellent breakfast, anything you could want and more. Complimentary afternoon tea, we had once and it was gorgeous, sat looking at the stunning views. Complimentary drinks early evening where live music is played and fresh canap? ?s cooked in the courtyard. What?? ?s not to love? We also ventured into the other side of the resort where there is more choice of restaurants and bars. Seriously I can not recommend this hotel enough. I wish we had spent our entire holiday here!! I would recommend doing a guided tour of Muscat as there is not hub to the city, it?? ?s quite spread out. The grand mosque is an absolute must. “ A beautiful hotel set in a stunning back drop of mountains! Stayed here with my daughter for 3 nights in April and we had a wonderful time. We enjoyed the quietness of the Al Husn hotel. The beach and pool area are very clean and we had no issues with getting our water and soft drinks when we got to these areas. We are from the Uk and found the cost of the food very expensive. We wanted to have the BBQ in the Sultanah restaurant when we arrived, but for almost ? ?100 per person, (albeit including free bubbles), we felt it was just too much for us. There was not an alcohol free option, which was a shame. The room was lovely and spacious with two large twin beds. We enjoyed the L'Occitane toiletries provided and the free beer/soft drinks in the mini bar. The afternoon tea was a delight. I would have liked to have seen decaffeinated tea as an option. There was decaf coffee. The evening cocktail hour was basically anything you wanted to drink for an hour. Our glasses were constantly refilled by the staff. The sea water in Oman is very green because of Algae, and so it was hard to see the fish when we snorkelled. We went on the Dolphin & Snorkelling trip and saw loads of Dolphins. We snorkelled in the Fjord at Turtle beach. Saw a large turtle, but again the water was very green and visibility could have been better. All in all we really enjoyed our stay. Oman is a stunning country and we would not hesitate to go back. Would be even better if it was not so expensive. One final thought - I meant to ask if he Hotel recycles their plastic water bottles? They must get through so many. Would be nice to know.